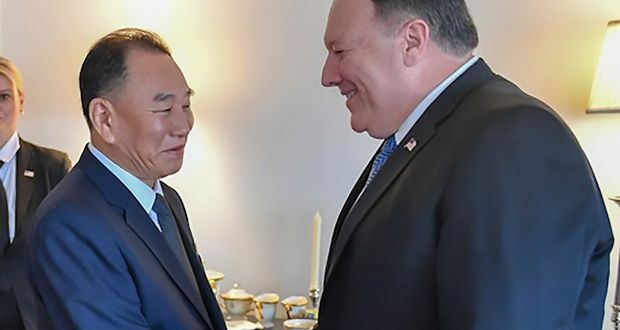 Most US news reports are suggesting that the North Koreans may be backtracking on their commitment to denuclearization,calling the US position “gangster-like” following the visit of Secretary of State Mike Pompeo to Pyongyang. What the North Korean foreign ministry actually said in its statement of July 7 (https://kcnawatch.co/newstream/1531000080-429116112/fm-spokesman-on-dprk-u-s-high-level-talks/) is far more nuanced, and speaks directly to the longstanding differences between Pyongyang and Washington. •	The North Koreans believe Trump promised “a new way” to deal with US-DPRK relations and denuclearization, namely, step by step. Their view is clear: denuclearization comes last, not first—a longstanding position. Instead, Pompeo brought only renewed US insistence on the old US position: CVID (comprehensive, verifiable, irreversible denuclearization). •	In the North Koreans’ mind, the joint US-DPRK statement out of Singapore laid out three priorities (and in this order): creating a “peace regime” on the Korean peninsula, improving relations, and denuclearization. But the US is riveted on the last, they say, and has offered nothing on the other two. •	What does a “peace regime” mean? Some observers think it means terminating the US military presence in and defense obligation to South Korea. But the North Korean statement says otherwise. “Peace regime” means a “declaration of the end of [the Korean] war at an early date”—replacing the armistice with a peace treaty, which “is the first process of reducing tension . . . ” The statement makes no demands about the US-South Korea relationship other than to dismiss as inconsequential Trump’s decision to suspend (not end) the joint exercises that had been scheduled for August. •	The statement emphasizes trust building. That’s the key argument for a phased approach to denuclearization: establish a peace regime to defuse tension and build trust. Only then will the North Koreans feel secure enough to take action—exactly what kind, we still don’t know—on denuclearizing. And the North Koreans maintain that they have taken a few trust-building actions, listing dismantlement of a test area for a new ICBM engine and discussion of returning the remains of US POWs and MIAs. To those of us who watch North Korea closely, this picture is not in the least surprising. Kim Jong-un had staked out his notion of the proper timeline for denuclearization months ago, and the North Korean quest for security via normal relations with the US and a peace treaty to end the Korean War is well known. The Trump-Kim summit was a breakthrough in terms of direct dialogue, but unless the US gets beyond “CVID,” the North Koreans will continue work on nuclear weapons and missiles and the dialogue with Washington will revert to an ugly form. Thanks, Mel. A very reasonable interpretation of what’s going on in the North Korea-U.S. relationship. The meaning(s) of “Peace Regime” in particular remain pretty nebulous, dependent on future events.